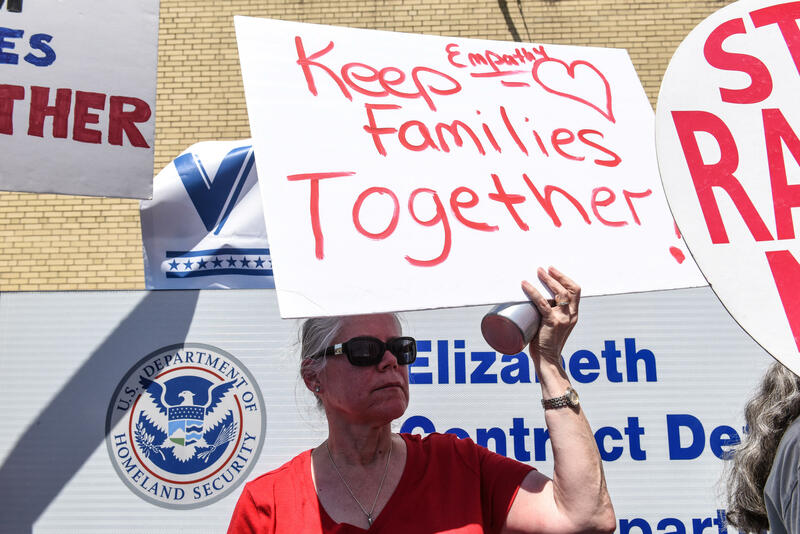 Doctor: Family separation is "child abuse"
As hundreds of children are being separated from their parents at the border between the United States and Mexico, pediatricians are sounding the alarm on the potential health effects and developmental damage this can cause. Child health experts have likened the policy to child abuse and are calling for the end of the practice immediately. "Separating children from their parents contradicts everything we stand for as pediatricians — protecting and promoting children's health," Dr. Colleen Kraft, president of the American Academy of Pediatrics, said in a statement. On Wednesday, the American Medical Association, the largest doctors' group in the United States, released a letter urging the Trump administration to promptly end the practice of separating children from their migrating families at the southern border. "Families seeking refuge in the U.S. already endure emotional and physical stress, which is only exacerbated when they are separated from one another," AMA's chief executive officer Dr. James Madara writes in a letter. "It is well known that childhood trauma and adverse childhood experiences created by inhumane treatment often create negative health impacts that can last an individual's entire lifespan." In the letter, sent Tuesday to Homeland Security Secretary Kirstjen Nielsen, Health and Human Services Secretary Alex Azar and Attorney General Jeff Sessions, Madara notes that the Administration's "zero tolerance" policy was recently discussed at the AMA's Annual Meeting, which includes delegates representing over 170 state and national specialty medical societies. During the meeting, the AMA heard from delegates who said the administration's policy "will do great harm to children and their parents or caregivers, who felt compelled to make a dangerous and uncertain journey because of safety concerns in their own countries." The letter follows new policy AMA adopted at its annual meeting last week in Chicago. On "CBS This Morning" Monday, Kraft explained how the type of trauma experienced by children being separated from their parents at the border impacts them on a physiological level. The typical stress response for human beings is to have increased levels of cortisol and other "flight or fight" hormones that normally helps to protect us from a dangerous situation, she said, but "in the instance where children are separated from their parents, the one buffer they have against these fight or flight chemicals is gone." "And so these children are on red alert all the time and they're not able to buffer these hormones," Kraft said. "What this can do is disrupt the synapses and the neurological connections that are part of the developing brain." This type of trauma can lead to lasting harm that can be very difficult for children to recover from. "We know that very young children who are exposed to this type of trauma go on to not develop their speech, not develop their language, not develop their gross and fine motor skills and wind up with developmental delays," Kraft said. In the interview, Kraft also referenced a photo Ivanka Trump recently posted with her young son, which garnered some criticism online in light of the family separations at the border. "If you look at this picture you see the joy between parent and child," Kraft said. "You see the child who is responding to their parent. You see the child's brain being built. Every one of our children deserve that same relationship with their parent, that same nurturing."